PARR Alumni "Bascom Hall", From Track to Show Horse in Less Than a Year! Visit our Facebook & Twitter Pages! We don't have time to add every horse to the website or continue to update it by the minute. The Facebook Page is where the most up to date information on horse listings, events, etc can be found. All other helpful tips, shipper contact info, resources can be found on the website. 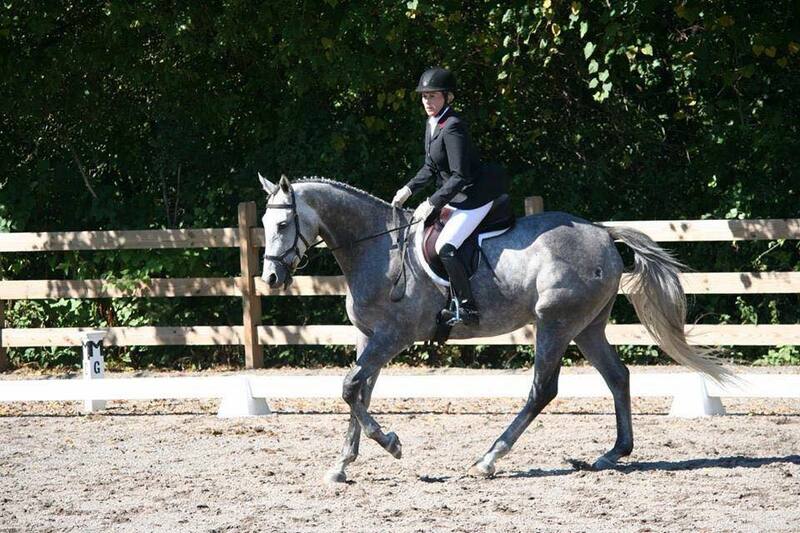 We do have our Horse Listings on the website, they are typically updated weekly. Our PARR horses come with PARR Adoption Contracts. They work the same as a Bill of Sale, but have more stipulations to help protect the horses and ensure that the new owner's are serious about being good responsible horse owners. 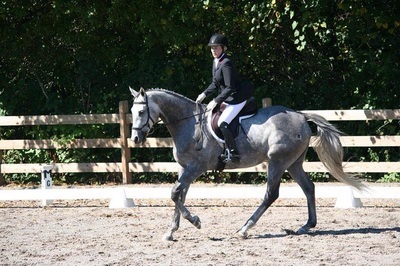 The Adoption Fee either goes to the owner/trainer/connections of the horse, to PARR (which goes right into the rescue), or a combination of both if the owner/trainer/connections have offered to give PARR a donation. The contract consists of a non-auction/slaughter agreement, a strict "can never return to racing" rule, horse can never be neglected, go through dealer, be on craigslist, etc, and some specifications on the process if/when sold and how we expect you to keep in touch with us through the horse's new career, and pass on new owner's information to us to continue keeping an eye on the horse's whereabouts. Just because they are for adoption, doesn't mean they are all coming from a rescue situation, have issues, or can never be re-sold (if you are a trainer who likes to bring horses along in new careers, most of the horses CAN be sold to wonderful homes). 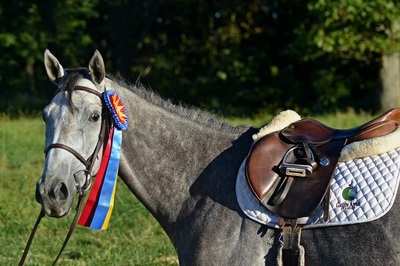 Some horses are only adoptable to forever-type homes and not for re-sale, or have a first-right-of-refusal stipulation for the owner. If you have questions about anything, just ask! We ALSO offer Courtesy Trainer Listings which are horses For Sale, that we are not handling the sale for. We simply post the info with the trainer's contact info and you and the trainer handle the sale (such as how CANTER PA Listings work). "Trainer Listings - For Sale"
For us to offer a courtesy listing, share an ad, or list your horse at the track on PARR, you must be the owner/trainer and have permission to sell the horse. Please e-mail us at PARRListing@aol.com with all information, pics, video, anything you have and a phone number. Pics/Video Clips can be texted (email for phone number), e-mailed, or sent through FB messenger. The fastest way to find these guys a home is with updated pics (side, head, eye, any lumps or bumps, etc) and video of them walking, trotting, and personality in stall is fantastic! We have the right to refuse listing any horse for any reason such as conflict of interest, complaints of horses being represented honestly, etc. If we have received complaints on a horse being misrepresented we will remove the ad. The best and fastest way to get these horses into homes is honesty. If we can tell buyers their known history, injuries, quirks, etc, it helps find them the best homes - and quickly! PARR allows trainers/owners of Racehorses to share their information when we cross promote, network, share, and post their horses "ads". We list whatever information we can gather on a horse which can be facts or opinions. We take no responsibility or liability for the actual horses themselves, the information/accuracy, vet history, etc. Please use the same sense you would in buying a horse from anyone. Ask questions, trust your instinct on if you are 100% sure it is the right horse for you and you can give it the right home. We do not want to see any of these beautiful horses at an auction/slaughter/starved! If you are unsure you can give it an amazing home please do not contact the owners. If the horse is located at the racetrack, understand you can NOT sit on or ride the horse. You can look at it, jog it, etc. There are no turnout areas either. Remember, we only post the info we have. For Trainer Listings we do not have any more knowledge than what is posted. You must contact the sellers for any other information. We have some helpful guides we have shared on our link page that can help you learn the process, what to look for, how to choose a horse and more. Click - HERE - to check those out! "Must Go ASAP" & "First Come First Serve"
Why the rush? 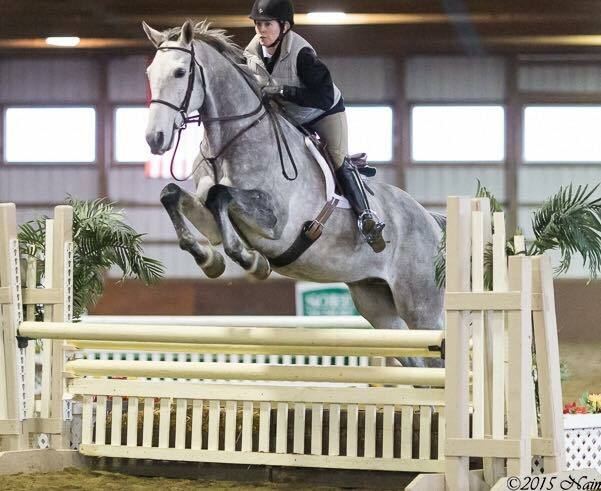 When a horse becomes "for sale" the owners are expecting the trainers to find them homes fast. Sometimes they have new horses coming in and need the stall space, and need it quick. A horse not racing (or winning) is a horse draining holes in the connection's pockets. Without getting the argument started about good and bad owners and their intentions, just realize there ARE great owners and there unfortunately are owner's who are in this for business and only business. Trainer's are the same. There are great trainers who would go without for their horses to have, and trainers who are in it only for the money. Many times you have a combination of both with great trainers who have the pressures of business-minded owners pressuring them to make money. None of that can be changed. It costs anywhere from $20-$55 per DAY for these owners to keep the horse at the track.... if they are retired, injured, etc, those daily expenses just become more and more of an expense. With those costs adding up, it adds up the pressure owners are putting on trainers to get those horses OUT of those stalls. Many times owners may have new horses who need to move to different tracks, but run into problems when a retired horse is taking up the limited number of stalls a trainer has at a track. Trainers only make money when the horse is in training and running, so it effects a lot of people. This urgency to get a horse sold is not always because trainers (or good owners) just feel like saying "get rid of it, this horse is not of use to us anymore", but more of a domino effect on the entire partnership among owners and trainers. They can't make a living at a racetrack with non-racing horses. Make sense? We may not like it but that is how it goes and we just have to work with it. Send us a Private Message through Facebook or E-Mail (ParrListing@aol.com) telling us everything we (or the trainer) needs to know. About yourself, experience riding, experience with OTTBs, references, your vet/farrier, where horse will live, your goals/plans with horse, etc. This does not have to be a novel, we can usually tell pretty quickly if a horse would be a good match or not. 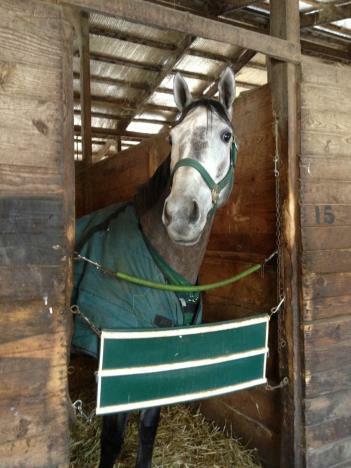 Adding pictures (or website) of where the horse would live, trainer, you riding, etc can really help us too! The most suitable homes/match for a horse moves up in line sometimes more than just "I called first!". Please understand and respect that. Trainers need to move quick, they are very very busy, and tire-kickers drive them crazy (and us). If you are serious about a horse, take action. Contact us or the trainer, and be ready to make things happen as quickly and easily as possible. Needing 1-2 weeks until you can come see the horse (or even pick it up) does not always work. Do what you can to coordinate seeing the horse as quickly as possible. Leave a deposit or pay for the horse when making a decision. 90% of trainers will not hold a horse. Have a vet ready to see the horse or review any x-rays available that could be e-mailed over. Have a shipper or way to pick up the horse as quickly as possible. If you are seeing the horse, do NOT waste a trainer's time and please please please do not be a no-show. Do any research you need on buying an OTTB right off the track so you are ready to make a decision when you see the horse. Send videos to your trainer etc. Know that you can NOT ride the horses, even if they are at private farms. Liability is too high for everyone involved from the trainers, owners, grooms, farm owners, and it is absolutely prohibited on any track property. If you can't afford to pay any money for a horse, most likely one listed for $2,500 at the track is not going to be negotiated down to free. Maybe looking at one priced around $1k obo, or for adoption with negotiable fee would have a better chance of negotiations to great homes. Sometimes a trainer may get desperate if they have been for sale long enough but within a week of listing it, it is rare for a trainer to give a horse away for much less than listed price. Some owners don't care about a selling price and want horse gone, and those are usually listed as "free", $500 obo types. A "cheap" horse does not always mean it has something wrong it, so please don't overlook one with a low price tag. We have to be very careful about horses landing in the wrong hands or ending up slaughter bound so if a horse is listed pretty cheap or free, you can expect us to require a lot of information on your end to ensure the horse ends up in a good place.